Can Blockchain with Artificial Intelligence Fight Deep Fake? I think we all have seen the fake video of Barrack Obama’s speech created by Buzzfeed with the help of using power face swapping neural networking technology. So what is a deep fake? “Deepfake, a portmanteau of “deep learning” and “fake”, is an artificial intelligence-based human image synthesis technique. 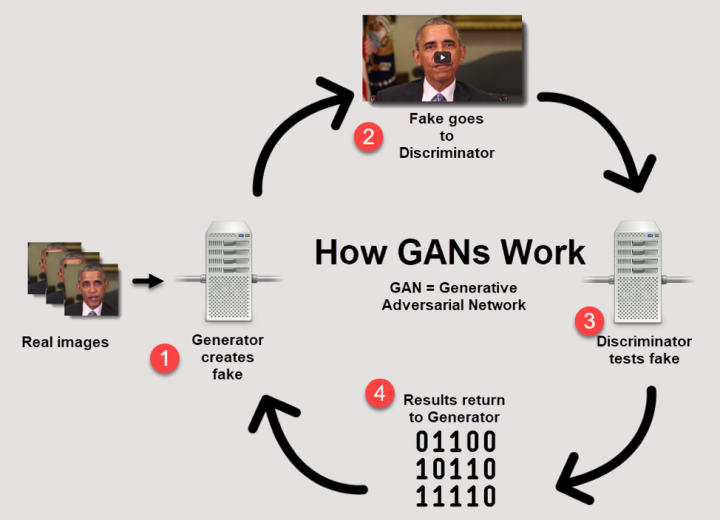 It is used to combine and superimpose existing images and videos onto source images or videos using a machine learning technique called a “generative adversarial network” (GAN). The combination of the existing and source videos results in a fake video that shows a person or persons performing an action at an event that never occurred in reality.” This is the definition according to Wikipedia. But deep fake is much more abyssal than using a fakeapp for video misrepresentation of celebrities and political leaders. The widespread discussion of fake news that has surfaced since the last election can be furthered beyond partisan convictions. Yesterday evening I was listening to a debate about pre-school subsidization where an artificial intelligence is debating about morals, finance, impacts of individual lives and various vulnerabilities that may stem out of her(as the voice was of female) active stand against the topic. The Artificial Intelligence system was citing various research and anticipated what her opponents will say, rebutted its human debater and also threw a few jokes. 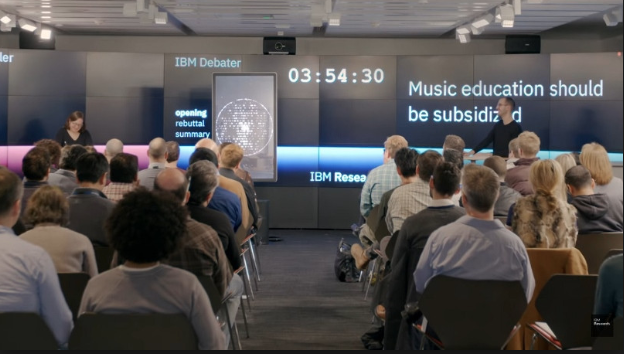 According to IBM, Project Debater is the first AI system to debate humans on complex topics . “During a twenty minute debate on a complex topic, Project Debater is digesting massive texts from the world class human debater, constructing a well-structured speech and delivering it with clarity and purpose and can rebut its opponent thoughtfully.” As an ex-IBMer I was highly curious. This may be a small step for Artificial Intelligence but is it a huge step for mankind against deep fake? IBM started this project long ago and opened it to the world in June 2018. Project Debater did a bunch of debates (pun intended) and most of them are about subsidizing action but on different topics like space exploration, music education and yesterday about pre-school education. I remember when I was a public debater, the first thing I had to do was to make sure all my research facts were correct and cite correct information while bringing the human touch of empathy to my stance. The Project Debater is able to do all of this intelligently and be politically neutral. A cognitive non-bias towards fact checking can fortify against the capricious model of a centralized data system. Facebook, Google, Equifax are the gate keepers of our data and these centralized system’s platform vulnerability have been brought to the surface by recent data breaches. Bounty hunters can easily buy our data from tech giants (Facebook) and sometimes cyber hackers are hacking from the confidential data platforms (Equifax). There is always a privacy vs transparency problem when it comes to our data. How an autonomous platform be correctly incentivized? Can Blockchain be a solution for such platform vulnerabilities where entities are incentivized and objectives are reframed to seek out the truth? There are many decentralized open source blockchain technologies that are becoming platform enablers of smart contract for these AI agents services. SingularityNet, Algorithmia, Ocean protocol, Openmined, Effect.ai are a few such examples. Such innovation in blockchain technology can possibly prevent the dark future where user data can be weaponized through deep fake. Decentralized ideas have grown inside our culture. The Internet was the first open source platform, enabler of value creation from artists, bloggers, thought leaders, techies and others, but which had been largely monopolized by the fat application layer monetized by the tech giants. It is time that after programmable money we take control of the truth. The truth that is not manufactured by any centralized authority but holds its ground in all continuums. Otherwise it will not be that far, when truth is a commodity manufactured by the very few who preyed upon us. Next Post:I can’t find where the source of the variable real_stock_price came from.